India beat New Zealand by seven wickets in the second T20 on Friday to level the series 1-1. 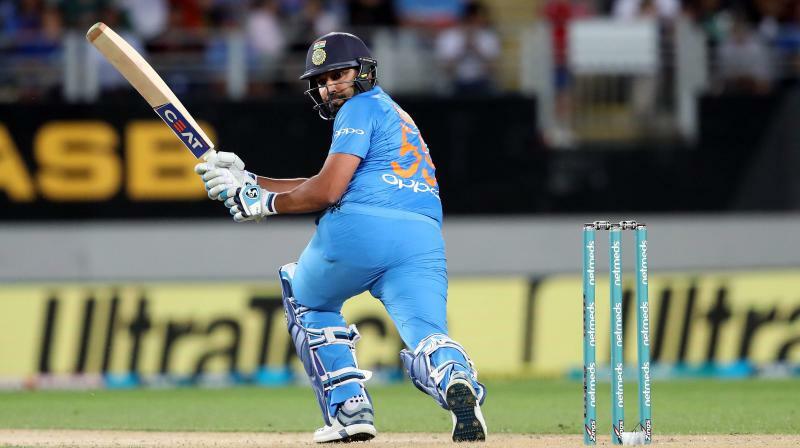 Auckland: Rohit Sharma had a memorable outing at Eden Park here on Friday as his half-century guided India to a seven-wicket win against New Zealand in the second T20I. While the ‘Hitman’ overtook Martin Guptill to become the leading run-scorer in T20Is, he also went one step ahead of Virat Kohli and MS Dhoni in terms of a captaincy record. While Rohit has managed 12 wins in 14 T20Is captaining India, Kohli and Dhoni could only win eight of their 14 matches as the captain of the side. Shoaib Malik and Asghar Stanikzai share the second place with 11 wins, whereas Graeme Smith and Mahela Jayawardene are behind them with 10 wins. The action now shifts to Hamilton for the third and final T20I. The series is currently locked at 1-1 after New Zealand won the first game by 80 runs.